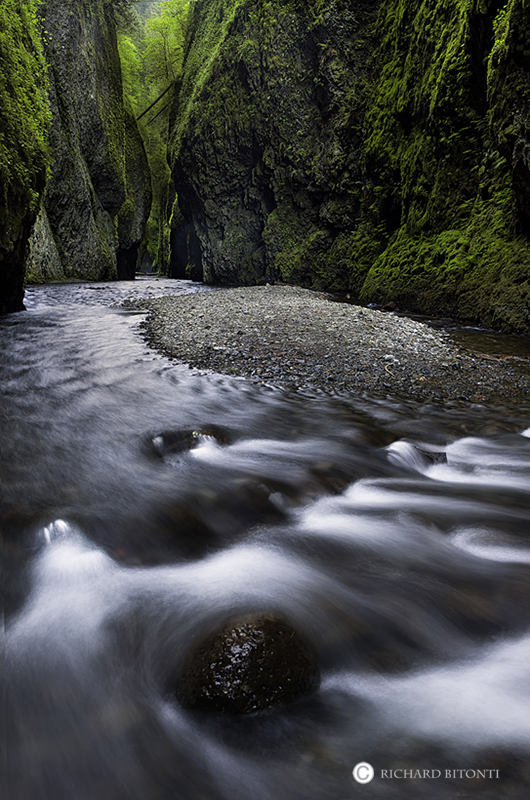 This image is a narrow slot canyon in the Columbia River Gorge identified as Oneonta Gorge. To capture this image, the photographer must traverse a 15 ft. high log pile, and navigate through deep water to a clearing on the beach, where this shot was composed. The tight, tall, and narrow canyon epitomizes what the Columbia River Gorge is all about... northwest beauty! Photo © copyright by Richard Bitonti.